If you have been wanting to bake up summertime into a big savory pie and eat it for supper, this is your dish. It is the perfect way to pretend you are on the beach in Santorini or Capri, picnicking on the warm sand, rather than working indoors in the city. 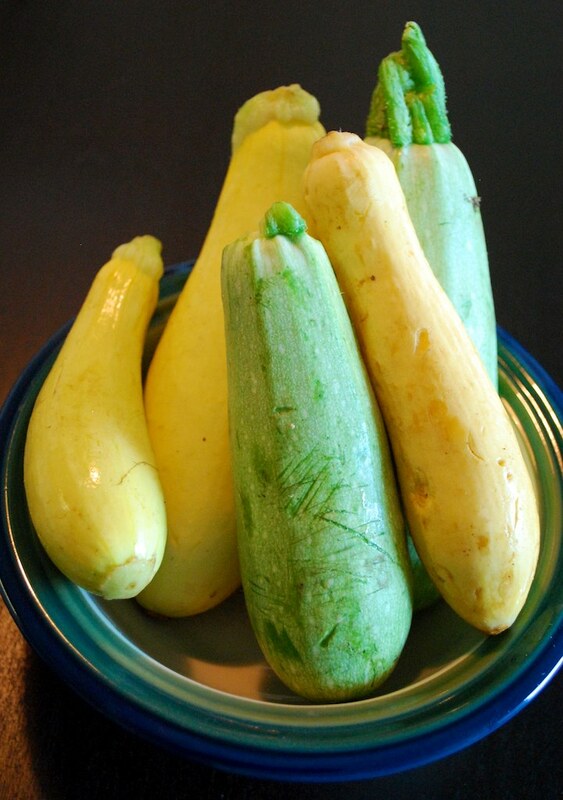 And it is an ideal use for the bountiful summer squash that is popping up in farmer’s markets, gardens, and grocery stores these days. 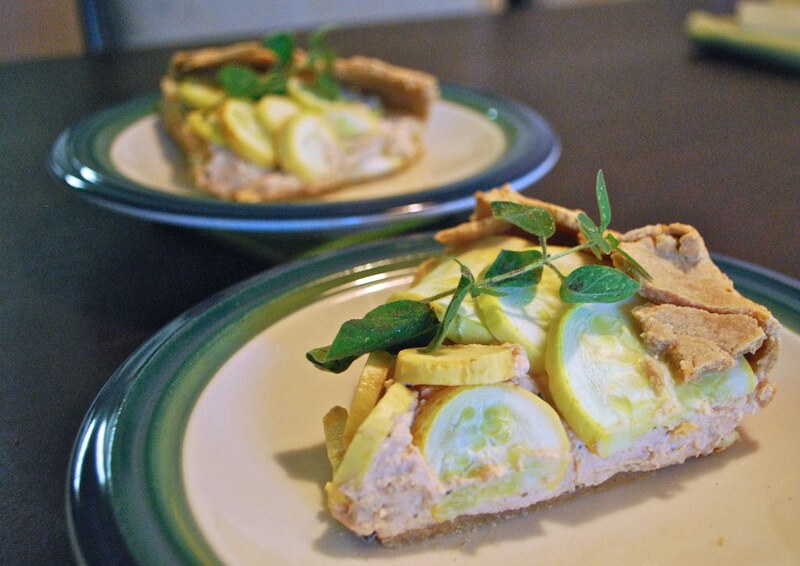 Here is a rustic pie, redolent of lemon, basil, and oregano, with a perfect chewy crust, a creamy layer of tofu “ricotta”, topped with dazzling summer squash. The crust is a nutty wonder, inspired by Celine’s recipe at havecakewilltravel. I add a touch of cornmeal to up the rustic summery flavor and create a slightly coarser crumb. This crust is chewy-tender, rather than flakey, so don’t think of it as an all-american-apple-pie-crust; it is something different, something wonderful. 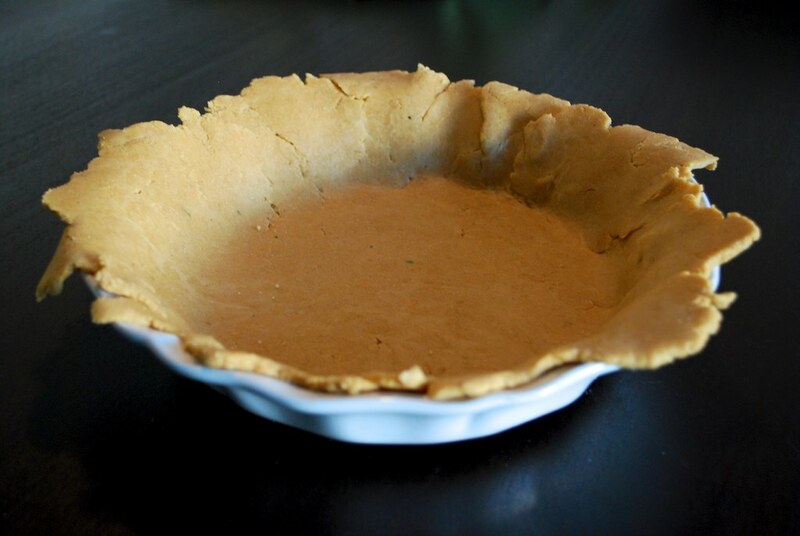 The fat in the crust comes from three tablespoons of tahini. Mhmm, that’s it. Save your stick of margarine for somebody else’s blog (or, ahem, for a certain dessert recipe coming next week–but it will be worth it, I promise). 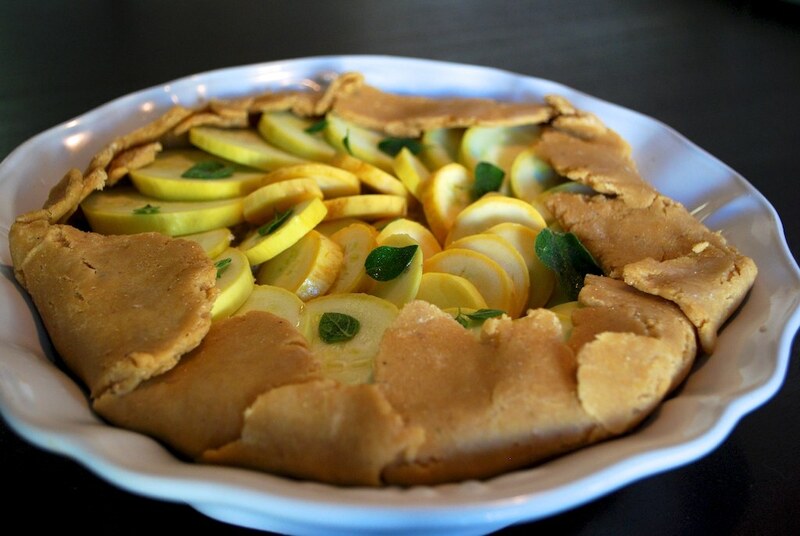 The base of the galette is spread with a rich tofu “ricotta” cream. Thick and tangy, seasoned with fresh herbs and a touch of tomato flavor, this balances the flavors and texture. 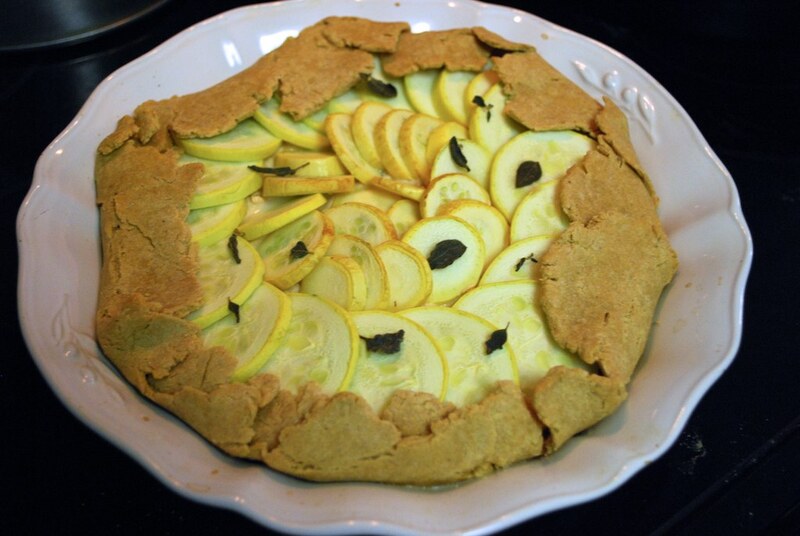 Thinly sliced summer squash swirls around the top of the pie, adding a satisfying crunch. And all three components come together to make a dish that truly does taste like summer. Bon appetit! 2. Add the tahini, salt, cornmeal, and flour to a food processor. Process to combine. 3. Add a 1/4 cup of the soymilk. Process to combine. Continue adding soymilk, one tablespoon at a time, just until a dough forms. This took me 2-3 additional tablespoons of milk. 4. Roll out the dough until it roughly forms a 12-inch circle. I like to roll it out on a plastic mat, then I pick up the mat and invert it over my pie dish, peeling the crust off the mat and into the baking dish. The crust will overhang slightly. 5. Rinse and slice the squash into thin rounds: 1/4 inch thick or less. 6. Add tofu, nuts, oil, herbs, garlic, tomato paste, lemon juice, salt, and pepper to your food processor or blender. Blend until smooth and creamy, pausing to scrape down the bowl. 7. Spread the ricotta over the base of the pie crust. If you have a bit of extra ricotta (a few tablespoons), you may want to reserve it for another purpose–use it as a sandwich spread. 8. Lay the sliced squash over the ricotta. Garnish with additional oregano leaves, if desired. Fold the edges of the crust over the top of the filling. 9. Bake for about 30 minutes, until the crust is golden brown, and the squash is slightly softened and golden. This entry was posted in entree and tagged basil, food, oregano, recipe, ricotta, summer squash, tofu, vegan, zucchini. Bookmark the permalink. It looks both delicious and comforting! Tahini in the crust sounds awesome. This looks amaaaazing. Perfect for an abundance of zucchini growing in my garden! Thank you for the recipe. I made this recipe last night with organic summer squash. It was outstanding, though I wish I had sliced the squash thinner. I can think of lots of variations with different veggies, and different ways of seasoning the “ricotta” base. It’s a versatile recipe template! Glad you liked it! Did you do 1/4″ thick squash rounds? My squashes were small and tender, so that thickness worked for me, but I imagine if you start with a bigger/tougher squash, it may require thinner slices. Can I use almond milk instead of soy milk?